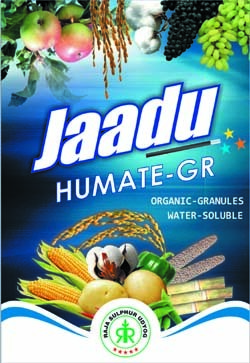 Contains essential Humate compounds derived from nature. Can be used by either broadcasting on soil, mixing with other fertilizers, spray directly or drop irrigation methods. Appearance : Completely water soluble black colored shinny crystals. Packing : 500g pouch, Buckets and bulk bags.